Artificial intelligence is starting to become a big part of our industry. Machine learning tools are allowing marketing and sales professionals to be more productive, and enabling them to be more effective with their strategies. In this post, I’ll recap HubSpot's Master Class on Marketing in the Machine Age with Paul Roetzer, founder of the Marketing Artificial Intelligence Institute, in a way that details the current state of AI and what kind of opportunities will arise from this disruption to inbound marketing. To quickly summarize the state of AI, let’s consider content planning. Right now humans are the ones who actually write content, but machines have the ability to tell data-driven stories at scale. In a few years there might be some overlap. Machines may be able to help us write narratives given parameters and utilizing data. For example, if you write a certain report on a monthly, quarterly and yearly basis, look at the capabilities of machines for writing narratives using data. 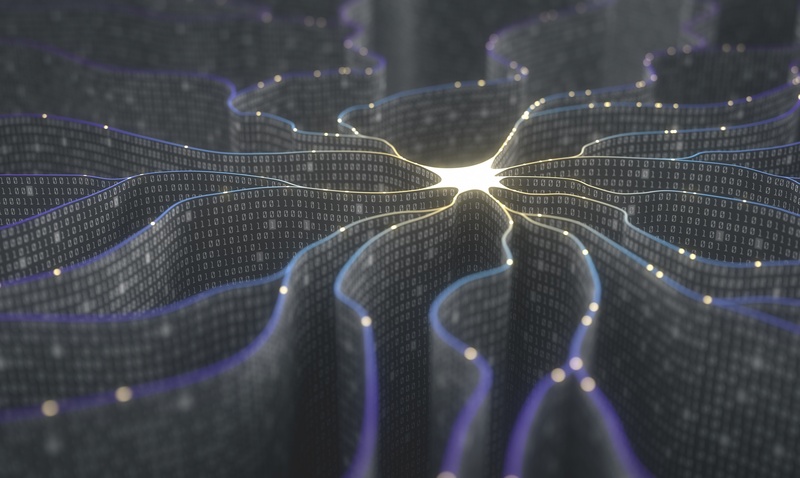 This is just one way the AI revolution is changing the priorities of marketing and sales professionals, and shifting the agenda of many B2B companies. Looking at how this might affect our day to day lives can help us benefit from this disruption. Content strategy will be less about targeting specific keywords, and more about building groups of topics that can help us build inbound campaigns. Hubspot’s Content Strategy Tool gives us an idea of how machines will be able to automate the process of content creation. Segmenting down to the individual level will be the norm. This means having an optimal email send time for each person, and knowing how likely they are to convert. Hubspot’s new Sales Professional Product encapsulates this concept. Chatbots will allow us to implement messaging with prospects and consumers across channels and at scale. Intelligent bots like Growth Bot give us the foundation for where this technology is headed. The idea of “hyper-personalization” at scale is within reach. For example, you might normally send an email out on Thursdays at 2 PM with recipients in different time zones and varying preferences. If you have a machine that can leverage data about these recipients, it could learn to find the best time to send individual people that email, with content that is specific to their interests — all with their preferences in mind. AI could work for sales, too. For example, Kemvi’s DeepGraph tool is already helping salespeople verify leads more quickly, identify the best time to reach out to prospects, and recommend content to their leads, all by analyzing scores of public data, around the clock. A/B testing is another example of a perfect job for a machine. In today’s world, a human does the creative and uploads multiple variants of it, then checks on the performance of those variants. Now there are tools that can autonomously run infinite variables of your creative, and adapt which version works best with which channel. This means more efficient budgeting and more effective testing. It’s important to note that AI isn’t here to take jobs away, but rather to transform jobs and eliminate time-consuming tasks, to allow us to focus on more high-revenue activities. Embracing this technology and using it to your advantage will set you apart from those who are afraid of it. Like any technological innovation, people become used to it over time, and even grow to expect it. Consider your expectation that analytical tools provide you with the reports you want. We already hold AI to a high standard, and in the B2B world, clients are starting to raise their level of expectation. B2B marketers will have to get up to that level of expectation for their prospects through timing, relevance and personalization if they hope to be competitive during this period of disruption. So what are the limitations of AI? What kind of things would stop you from being able to implement this into your business? The biggest barriers are data, time and resources. It’s also a constant training and supporting process, not a switch-flip maneuver. However, intelligent algorithms have infinite potential. If you want your business to truly benefit from AI, you need to invest in collecting clean, organized data in vast amounts. So where can you find the most value for artificial intelligence in your business? When trying to see where AI will have a hand in process enhancement, just ask yourself which tasks are time-consuming and data-driven. Over time, a machine will perform these tasks better than a human will. One example is the process of determining how to spend a budget. We use our previous decisions coupled with our past experiences, but this method isn’t always reliable. Artificial intelligence can use data and tons of stored experiences to optimize that process. So how can you stay current with this disruption? Start by learning what AI can do at a basic level, so you know what is possible, and understand the potential impact it can have. Keep looking for processes that are time-consuming and data-driven, and see if there is already a tool that can optimize them. AI will enable us to be better marketers, but only for those who choose to embrace the technology and use it as a competitive advantage. Eric Velli is a Growth Specialist at New Breed. He specializes in helping marketers meet their inbound marketing and demand generation goals.